A couple and their friend are embarking on the last of Seven Summits, Visson Massif in Antarctica, in memory of John Thornton. In late November 2017, Peter Sunnucks is set to embark on the last of the Seven Summits, relating to the highest mountain on every continent, by climbing Vinson Massif, Antarctica, in memory of his friend John Thornton. 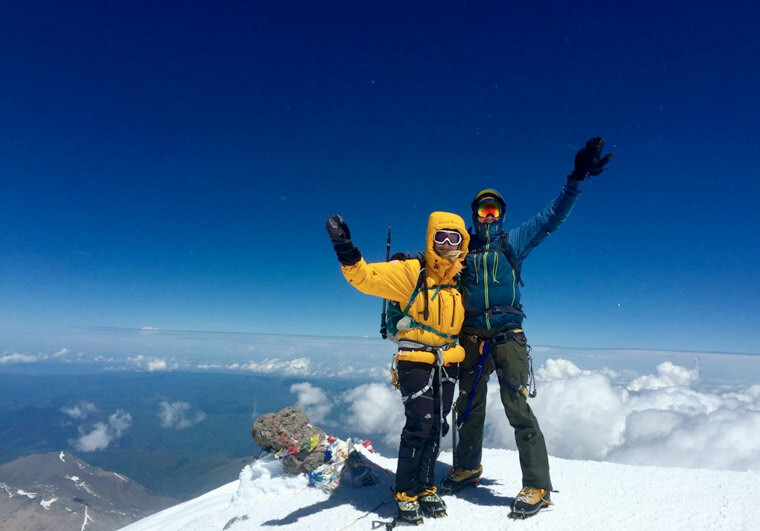 Peter, an accomplished mountaineer and adventurer, who has successfully climbed six of the Seven Summits, is certainly climbing as high as he can dream of in completing this challenge. Peter will be leading a team which includes Elizabeth Wood, who has climbed three of the Seven Summits and Joel Johansson, an acclaimed Swedish mountaineer who has climbed extensively around the world. Elizabeth and Peter were married earlier this year and share a passion for exploration and education. They met Joel in 2014 whilst climbing Carstensz Pyramid, West Papua, Indonesia; the highest mountain in Australasia. This shared adventure prompted them to unite for this unique expedition to Antarctica. Peter, 35, successfully summited Mount Everest in 2010 with close friend, Captain Matt Snook RM and resolved to complete the remaining Seven Summits in memory of Lt John Thornton RM, who was tragically killed in Afghanistan in 2008. Peter, Matt and John were very close friends and there could be no greater tribute to their friendship and no greater challenge to honour John’s memory. Vinson Massif, will be the fourth of the Seven Summits for Elizabeth and she will be completing this challenge in memory of her mum, Kirsty Wood, who died from early onset Alzheimer’s disease 10 years ago. The John Thornton Young Achievers Foundation and the Alzheimer’s Society are therefore causes very close to Peter and Elizabeth’s hearts and they will be working hard to promote both charities and to raise valuable funds to support the work that they do. Peter is a Fellow of the Royal Geographical Society and through his work as an engineering leader in the defence and aerospace industry, is an avid supporter of STEM activities. Science, Technology, Engineering and Mathematics (STEM) is an educational network that integrates these core subjects into a combined learning environment and Peter will be using Antarctica as a platform to facilitate learning, giving students the opportunity to develop an understanding in the complex and dynamic forces of the world around them.